Basketball Wives Miami is currently filming for season five and it looks like there's some major beefing going down between head honcho Shaunie O'neal and the newly snatched-faced Tami Roman. Tami tells The Examiner, "I have always been a person that is going to speak my mind and say exactly how I feel. For the first time, I actually have a little to say to Ms. Shaunie O'neal so that's going to be quite interesting for people to see." Although Tami could not reveal the cause of the argument, I predict that it has something to do with Shaunie being a two-faced backstabbing poop-stirrer. Is it just me or does it seem like Shaunie tries to come off as innocent but she always seems to be in the center of some conflict? Aside from the issue with Shaunie, Tami says that the new season of the series will be more balanced and tamed. The cameras will not only catch the women and their excessive drama, they will also focus on their family lives and careers. Sounds like a borefest to me! 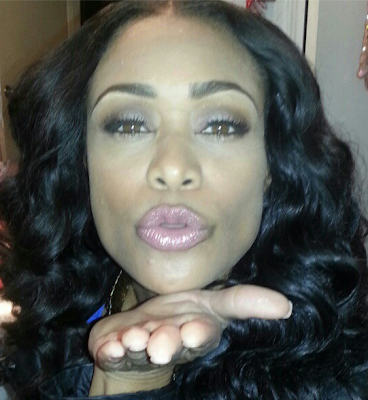 What do you think Tami and Shaunie will be arguing about on the new season of Basketball Wives Miami? Follow Real Reality Gossip on Twitter. Shaunie always try to come off as the better person. She does care what other people think of her but she is lower than a snakes belly. I can not stand her and neither could Shaq.